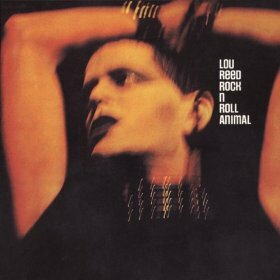 Rock n Roll Animal was the first live album released by Lou Reed after he left The Velvet Underground in 1974. It was recorded on December 21, 1973 at the Howard Stein’s Academy of Music in New York. The concert was split into two separate live albums with the second, called Lou Reed Live released in 1975. The last studio album to have been released was Berlin. Rock n Roll Animal is a controversial recording because Lou Reed turned the Velvet Underground classics into hard rock with duelling guitars. If you knew the original LP, then you’ll see that two more songs – How Do You Think It Feels and Caroline Says I have been added to the CD & digital versions. We now have four Velvet Underground classics and three songs from Berlin. I like this alternative sound of the songs although I’m surprised at how well they translate to a more mainstream hard rock sound. I don’t want live albums to sound just like the studio versions although I accept that sometimes the changes work and sometimes they don’t. My main niggle with the album is that it’s too short and I’d hoped that this and Live aka Extended Versions would have been combined and restructured to match the order that the songs were played live in concert. Others have preferred to hear the Velvet Underground tracks performed on the original group’s live albums – 1969 Live with Lou Reed and Live At Max’s Kansas City. Most of the reviewers at Amazon love it but some traditional Velvet fans hate the hard rock approach to the songs. Is this the best Lou Reed live album? What Are The Best Live Albums Of All Time? Lou Reed has albums nominated in the polls for hard rock, classic rock, singer-songwriter, proto-punk and psychedelic genres either as a solo artist or as part of the Velvet Underground. What are the best hard rock live albums? Because there are so many great hard rock live albums, I have a second division poll where more of your favourites could be promoted if they get enough votes. I’ve also included this album in the poll to find the best glam rock live albums. This entry was posted in 1970s Live Albums, Heavy Metal Live Albums, Singer Songwriter Live Albums and tagged 1970s hard rock, 1970s Songwriters, 1973 live albums, heavy metal 1973, Lou Reed Live Albums, SS R by Paul Simister. Bookmark the permalink.